The Berliner Ensemble was founded by Bertolt Brecht and is still following his principle of political theatre. Empathy with the weak and unmasking the powerful. The result: spectacular productions on one of the most famous stages in Berlin. 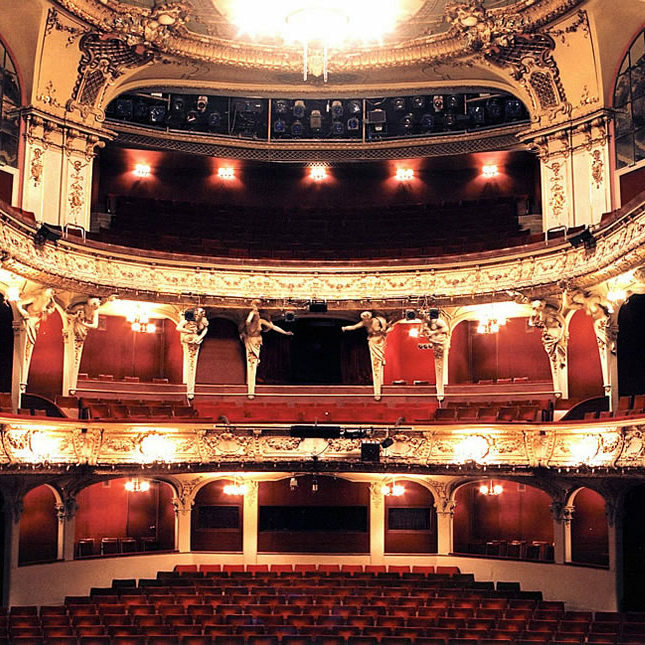 In the beginning the Berliner Ensemble performed in Deutsches Theater until it moved in 1954 in the neo-baroque building of Theater am Schiffbauerdamm close to Friedrichstraße. Legendary premieres ensured fame and fortune for the theatre and actors. Today led by Claus Paymann, it is still famous in- and outside Berlin. The repertoire includes presentations of German classics like Goethe, Kleist and Schiller as well as modern pieces. Next to Brecht’s plays, the work of Shakespeare is a focal point of the theatre. Often with impressive numbers of perfomances.